We love the Ebby Halliday Companies blog, mostly for the great listings and the “Of The Day” features that come from the biggest pool of amazing Realtors in the Dallas-Fort Worth area. Needless to say we were thrilled when they unveiled the new design to the Ebby Blog. “The just-released, redesigned Ebby Blog isn’t just informative, it’s just plain fun,” says Randall Graham, vice president and director of marketing of the Ebby Halliday Companies. With new categories, fun features, and a fresh design, you’ll be clicking away your day to keep up with the folks at Ebby Halliday. 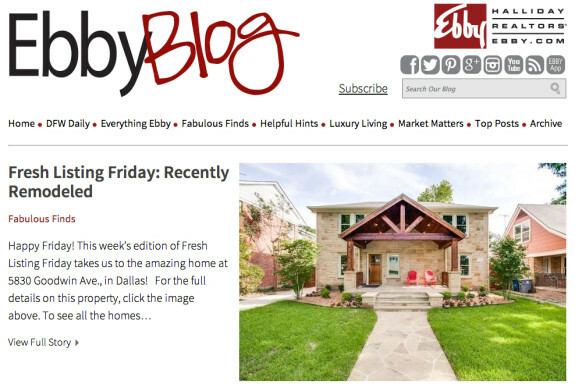 The Ebby Blog offers such categories as DFW Daily, profiling events in the D-FW area; Fabulous Finds, highlighting great homes available in North Texas; and Helpful Hints, offering everything from insight on the latest paint colors to apps that help around the house. In addition, you’ll enjoy Luxury Living, featuring everything from million-dollar listings to the newest luxury trends; and Market Matters, where you can easily get the pulse of the housing market in North Texas and beyond. To discover the Ebby Blog, visit ebby.com/blog. OK, I have officially had it. This is a real estate blog, and nearly every single day I get five requests from someone offering me “free” stories to post. You know what they say about anything free. I usually respond nicely, kindly, as my mother raised me. I tell them this is a professional blog and while we appreciate their interest — they are reading it, after all — we create very special content here, carefully crafted by professional writers/bloggers. Every single post must be meaningful to the reader, to the subject matter, including our sponsored posts which, even though they may come from an advertiser, are edited and must fit our rigorous “crunch” test. I love that half, no three-quarters, of these wonderful offers come from writers who cannot write the King’s English. In today’s time of uncertainty, where so many incidents take place in our life, there is vulnerability around in some form or the other. There is no taking away from the fact that science and with its advancements, our life has become considerably easier. However, with it, there are also various risks, which we have to face in our day-to-day life. The advanced use of resources has weakened the natural storage. This, in turn, is affecting the climate and the nature in an adverse manner. So, if we get our hands on to something like a natural hazard disclosure report, before we actually take the decision of buying a property, it would be very handy. It can go a long way in helping us to take an informed decision, which will be a secured one for our family as well. WTF is the “natural storage”? Tupperware? Wait, it gets better! The natural hazard disclosure report helps in estimating the chances of any of these events happening. It also indicates what could be the outcome, if anything happens or in case of a worst-case scenario. The report is also bought by many real estate developers to understand the risks. 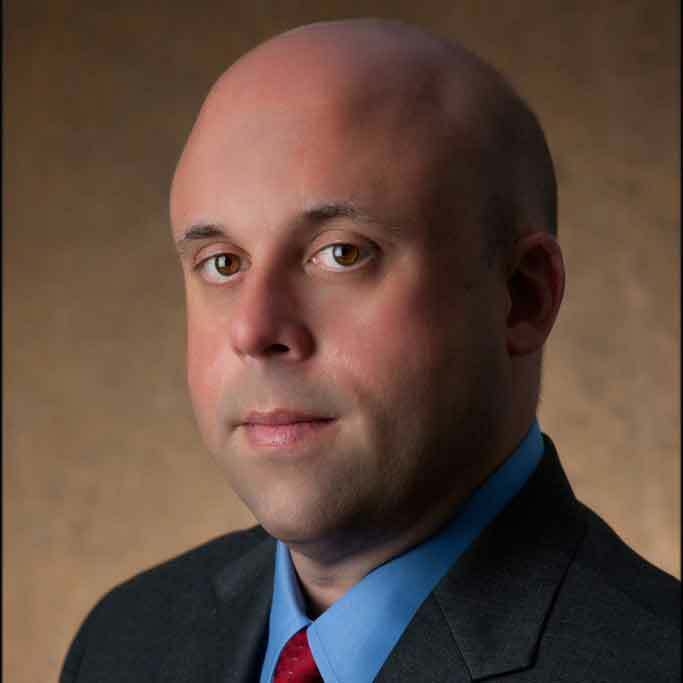 In some of the cases, these developers can actually work upon mitigating those risks. They can take steps in advance to safeguard the place against the most potential disaster and educate people as to their course of action in the event of any calamity. The report also contains the inputs of state agencies on the potentially dangerous causes or businesses, which can affect a property. This is a business that sells natural hazard reports, or something. I removed the hyperlink, the reason why they sent it to me, hoping they’d get that little hyperlink in. Oh yes, all the SEO words, too. Let me tell you something: no freebie hyperlinks here. No one wants to read a bunch of doo doo on natural hazard reports and if they do, your company should have the brain horsepower to present the material in a well-written, captivating manner. Here, I’ll save you a lot of money and eye strain. 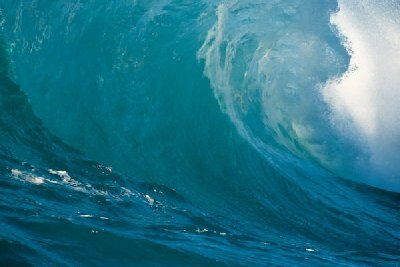 BAD STUFF HAPPENS: TSUNAMIS, EARTHQUAKES, HURRICANES AND TORNADOES. Tell you what I think: NO WAY!